A $1,000 charitable donation that costs the donor $500? State officials say that math is correct. 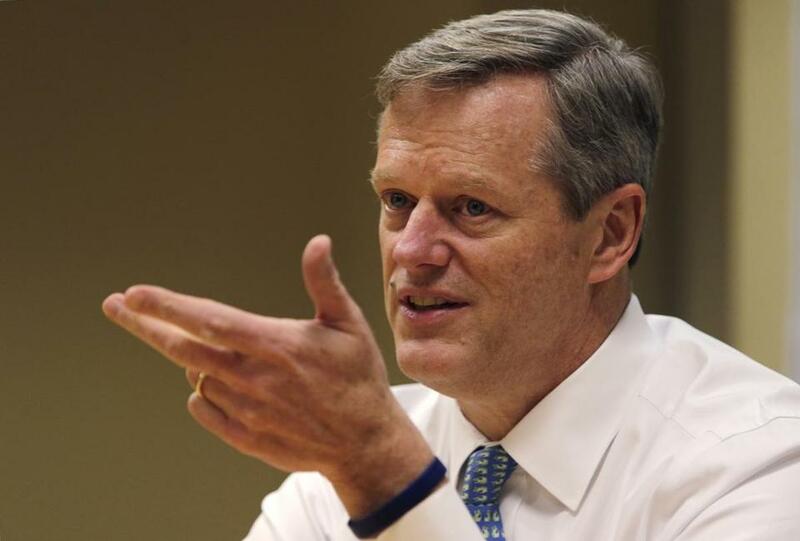 This year, for the first time, Massachusetts is offering a tax credit designed to encourage a specific type of charitable giving, and nonprofit officials are pushing to get the word out before the current tax year ends Dec. 31. But the details are complicated enough that, with just a week left before the 2014 deadline, about a third of the credits have yet to be claimed. The Community Investment Tax Credit, part of an economic development law signed by Governor Deval Patrick in 2012, took effect this year. It offers a 50 percent credit to anyone who donates money to a community development corporation, or CDC. That adds another layer of complexity, since many people are not familiar with CDCs. They are nonprofits that try to improve low- and moderate-income neighborhoods by, for example, providing job training and supporting local businesses. Here’s how the program works: Qualifying CDCs are given allotments of tax credits, which they use to try to entice donors. For a minimum donation of $1,000, donors receive a tax credit equivalent to half their contribution, so a $5,000 gift to the organization would result in a $2,500 credit on their tax return. It’s a public-private sector collaboration in which government money is used to attract private dollars for nonprofits, and state revenue is expended only if the credits are claimed. Sweetening the deal, donors can take a federal income tax deduction on their donation, based on their tax bracket. Of the more than 50 CDCs in Massachusetts, 38 are participating in this year’s program. The number of tax credits allocated by the state for 2014 totals $3 million — individual CDCs received allocations ranging from $60,000 to $150,000 — and so far about $2 million of those credits have been claimed. The deadline for making donations in return for a 2014 tax credit is Dec. 31. The CDCs can use the donations in a variety of ways to spur economic development. A CDC on Cape Cod, for example, is trying to shore up the fishing industry, while a CDC in Franklin County is operating a food processing center designed to help farmers, caterers, and restaurants. CDCs in Dorchester and Fitchburg are rebuilding housing markets hard-hit by the foreclosure crisis. Because CDCs have an incentive to aggressively seek donors to try to make use of all their tax credits, “what I’m hearing from members anecdotally is that this has motivated them to establish new relationships [with potential donors], and it’s getting their board members more involved in fund-raising,” added Kriesberg. Next year, the amount of tax credits available jumps to $6 million, and the program is slated to expire in 2019. A CDC can receive between $50,000 and $150,000 in tax credits per year for up to three years. 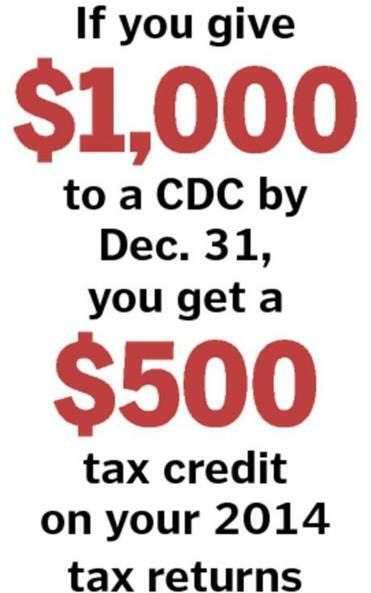 To review the math: A CDC must raise $300,000 in contributions to take full advantage of $150,000 in tax credits.